For this former teacher, studying at an elite school and teaching at a neighbourhood school made her realise just how problematic the message of meritocracy was. Earlier this week, a video from CNA Insider on class differences, partly from the angle of education in Singapore, has garnered strong reactions and discussions about the issue among Singaporeans. Subsequently on Wednesday, Oct. 3, a former secondary school teacher by the name of Chew Wei Shan (who also happens to be a local musician going by the name weish) took to Facebook to share her take on the issue. In her post, Chew pointed out that the video “only scratches the surface” and shared the severe dissonance she experienced from being a student at Raffles Institution to teaching at a neighbourhood secondary school. These years spent at the two different educational environments, she writes, allowed Chew to see the effects of propagating meritocracy throughout schools “as gospel truth”. It is a message that, from where she is standing, has resulted in serious consequences that, she says, have affected children’s lives. GP or English tutors (including part-timers) keen to be listed on this website (consistently ranked top 10 on Google) as a Recommended Tutor, please email stevenooi18 @ yahoo.com (remove the spaces). Tutors in other subjects interested in having links to their website are also welcome to contact him. 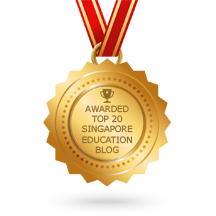 This entry was posted in Recommended Articles and tagged english tutor, gp tuition, gp tutor, materials for gp, singapore. Bookmark the permalink.